The 1Malaysia Development Berhad scandal or 1MDB scandal is an ongoing political scandal occurring in Malaysia. In 2015, Malaysia's then-Prime Minister Najib Razak was accused of channelling over RM 2.67 billion (nearly USD 700 million) from 1Malaysia Development Berhad (1MDB), a government-run strategic development company, to his personal bank accounts. The event triggered widespread criticism among Malaysians, with many calling for Najib Razak's resignation – including Dr. Mahathir Mohamad, one of Najib's predecessors as Prime Minister, who eventually defeated Najib to return to power after the 2018 general election. Political leader Anwar Ibrahim has openly questioned the credentials of 1MDB. He told Parliament that according to the records held by the companies commission, the company "has no business address and no appointed auditor." According to its publicly filed accounts, 1MDB has nearly RM 42 billion (USD 11.73 billion) in debt. Some of this debt resulted from a $3 billion state-guaranteed 2013 bond issue led by Goldman Sachs, who is believed to have made as much as $300 million in fees from that deal alone, although it disputes this figure. Conference of Rulers in Malaysia has called for the investigations by the government to be completed as soon as possible, saying that the issue is causing a crisis of confidence in Malaysia. After the 2018 election, the newly elected Prime Minister, Mahathir Mohamad, said there was enough evidence to reopen a probe into the 1MDB scandal. In the months after the election, Malaysian authorities barred Najib Razak from leaving the country, seized a huge haul of cash and valuable items from premises linked to him, and charged him with criminal breach of trust, money laundering and abuse of power, while Jho Low was charged with money laundering. Having filed complaints alleging that more than US$ 4.5 billion was diverted from 1MDB by Jho Low and other conspirators including officials from Malaysia, Saudi Arabia and the United Arab Emirates, the U.S. Department of Justice said it would continue to pursue investigations into 1MDB and looked forward to working with Malaysian authorities. The whistle-blower was the Swiss banker and former director of PetroSaudi Xavier Justo. It was reported by news portal Sarawak Report and British newspaper The Sunday Times, using leaked email correspondences, that Penang-based financier Jho Low, who has ties with Najib's stepson, siphoned out US$700 million from a joint venture deal between 1MDB and PetroSaudi International through Good Star Ltd. An email revealed that Jho Low had the loan approval from Prime Minister Najib for US$1 billion without getting any approval from Bank Negara. Sarawak Report showed minutes of a meeting at 1MDB that CEO Arul Kanda gave out false bank statements pertaining to its subsidiary's accounts at the Singapore branch of BSI Bank. Arul Kanda denied the allegation that he gave false bank statements to Bank Negara. It was claimed through a report by the Wall Street Journal that 1MDB made overpriced purchases of power assets in Malaysia through Genting Group in 2012. Genting then allegedly donated this money to a foundation controlled by Najib Razak, who used these funds for election campaign purposes during the 2013 general elections. According to a news report quoting 1MDB, the company denied that it overpaid for its energy assets. 1MDB was quoted as saying that their energy acquisitions were made only when the company was convinced of its long-term value. Further allegations were made by the Wall Street Journal that US$700 million was transferred from 1MDB and deposited in AmBank and Affin Bank accounts under Najib Razak's name. A task force that was tasked to investigate these claims has frozen 6 bank accounts linked to Najib and 1MDB. The Malaysian Anti-Corruption Commission (MACC) subsequently, in August 2015, cleared 1MDB of this allegation. MACC issued a statement saying, among other things, "Results of the investigation have found that the RM2.6bil which was allegedly transferred into the account belonging to Najib Razak came from the contribution of donors, and not from 1MDB". According to highly placed sources, three of the bank accounts that have been frozen belong to Najib Razak. The Wall Street Journal revealed the bank account details online to rebut denials by Najib Razak and his supporters. Singapore police have frozen two Singapore bank accounts in connection with their own investigation into the alleged financial mismanagement at 1MDB, after reports stated that US$700 million worth of deposits was moved through Falcon Bank in Singapore into Najib Razak's personal accounts in Malaysia. However, 1MDB denied having any knowledge of their accounts being frozen, and said they have not been contacted by any of the foreign investigating authorities. The Wall Street Journal also reported that 1MDB transferred around $850 million via three transactions in 2014 to a British Virgin Islands-registered company with a name disguising that it was controlled by IPIC, according to wire transfer documents. The Wall Street Journal (WSJ) released a report stating that 1MDB failed to pay US$1.4 billion to a United Arab Emirates state investment vehicle, International Petroleum Investment Co (IPIC). The money was owed to IPIC after it had guaranteed a US$3.5 billion bond issued by 1MDB to fund its purchase of power plant assets in 2012. The WSJ released another report saying that a further US$993 million was missing that 1MDB was supposed to pay IPIC. 1MDB responded to the WSJ report, saying that the company continues to enjoy a strong business relationship with IPIC, as proven by the execution of a binding term sheet that saw IPIC assume obligation for a US$3.5 billion bond principal and interest, currently held by 1MDB, and followed a US$1 billion cash payment made by IPIC to 1MDB in June. Earlier in October 2015, IPIC reaffirmed their commitment to working with 1MDB and the Malaysian Ministry of Finance. Another report by the WSJ pointed out that 1MDB, in connection with a United States political fundraiser DuSable Capital Management LLC, signed a joint venture agreement creating a fund, Yurus PE Fund, to develop solar power plants in Malaysia. Six months after the joint venture agreement was signed, 1MDB bought out DuSable's stake of 49% of Yurus for US$69 million before any construction took place. According to bank transfer information, the WSJ revealed that Najib Razak spent close to USD$15 million on clothes, jewellery and a car in places such as the United States, Singapore and Italy using a credit card that was paid from one of several private bank accounts owned by Najib Razak, that 1MDB funds had been diverted to. The RM425 million profit between 25 September 2009 and 31 March 2010 raised many criticisms and controversies on the lack of transparency given to 1MDB's accounts. Tony Pua, DAP Member of Parliament for Petaling Jaya Utara, questioned Najib Razak, 1MDB advisory board chairman, whether the figures were the result of an asset injection into 1MDB by the government such as the transfer of land rights to the company. During the October 2010 parliamentary session, 1MDB explained that its accounts had been fully audited and signed by KPMG, and closed as of March 31, 2010. Deloitte was involved in the valuation and analysis of the portfolio, while Ernst & Young provided tax advice for 1MDB. 1MDB raised attention by asking for a six-month extension on the annual report meant to be filed in with the CCM by 30 September 2013. In the meantime, the change of three auditors since its inception in 2009 was considered suspicious. It also said that 1MDB had lodged the necessary information, including its registered address, with the Companies Commission of Malaysia as required by the law. The Sungai Besi airport land transfer took place in June 2011, for development as Bandar Malaysia, a mixed integrated project of commercial, residential and hi-tech green environment. There have been questions by the opposition regarding lack of progress on Bandar Malaysia even after 1MDB raised RM3.5 billion in loans and Islamic bonds to fund the project and take ownership of the land. In April 2013, 1MDB awarded a RM2.1 billion contract to Perbadanan Perwira Harta Malaysia (PPHM), a subsidiary of Lembaga Tabung Angkatan Tentera (LTAT) to develop eight sites for the relocation of Pangkalan Udara Kuala Lumpur, the military base in Sungai Besi. The construction of Bandar Malaysia will be set to commence following the completion of this relocation project. As part of its debt rationalisation plan, on 31 December 2015, 1MDB inked an agreement with a consortium comprising Iskandar Waterfront Holdings and China Railway Engineering Corporation to sell 60% of its stake in Bandar Malaysia Sdn Bhd. On 7 September 2015, a member of the board of advisors to 1MDB, Abdul Samad Alias, resigned stating that he did so after his many requests for information on 1MDB affairs were ignored. 1MDB subsequently denied receiving repeated requests from Abdul Samad, stating that its President, Arul Kanda, has personally met Abdul Samad in January and March that year to "discuss the company's affairs". 1MDB has not had a proper external accounts audit since 2013, partly as a result of Deloitte Malaysia, their auditors at the start of that period, issuing a statement in July 2016 saying that their audit reports of 1MDB financial statements, dated 28 March 2014 and 5 November 2014 covering financial years 2013 and 2014 respectively, should no longer be relied upon. In early March 2015, with public discontent growing at the perceived lack of financial transparency at 1MDB, the Prime Minister, who is also the Chairman of 1MDB's Board of Advisors, ordered the Auditor General of Malaysia to carry out an audit of 1MDB. However, on completion of the audit, the final report was classified as an Official Secret and only made available to the Public Accounts Committee (PAC) tasked to investigate improprieties at 1MDB. Purported copies of the report have however surfaced on the internet. In May 2018, after the formation of the new Cabinet following Pakatan Harapan's victory in the General Elections, Finance Minister Lim Guan Eng ordered the appointment of PricewaterhouseCoopers (PwC) to conduct a special position audit and review of 1MDB. It was reported that 1MDB has accumulated debts of nearly RM42 billion. Further alleged financial challenges caused 1MDB bonds to trade at a record low in early 2015. It was reported that the Malaysian cabinet had rejected a RM3 billion cash injection for 1MDB, narrowing its options to pay off its debts on time. Former Malaysian Prime Minister Najib has been heavily linked to the 1MDB crisis. On 3 August 2015, the Malaysian Anti-Corruption Commission stated that the RM 2.6 billion that had been banked into Najib's personal account came from donors, not 1MDB, but did not elaborate on who the donors were or why the funds were transferred, nor why this explanation had taken so long to emerge since the allegations were first made on 2 July 2015. UMNO Kuantan division chief Wan Adnan Wan Mamat later claimed that the RM 2.6 billion was from Saudi Arabia as thanks for fighting ISIS. He further claimed that the Muslim community in the Philippines as well as southern Thailand had also received similar donations, and that since the donations were made to Najib personally as opposed to UMNO, the funds were deposited into Najib's personal accounts. Saudi Foreign Minister Adel al-Jubeir said he was aware of the donation, and said that it was a genuine donation with nothing expected in return. Attorney-general Mohamad Apandi Ali has said that the donation was from one of the sons of the late Saudi King Abdullah, namely Turki bin Abdullah Al Saud. In an interview with ABC News, Wall Street Journal finance editor Ken Brown stated that the money did not come from the Saudis and they had evidence that it came from companies related to 1MDB. Using the premise that 1MDB used inaccurate or incomplete disclosure of information, Bank Negara has revoked permissions earlier granted to 1MDB for investments abroad totalling US$1.83 billion. Bank Negara has called for the Attorney General to begin criminal prosecution of 1MDB after completing their own investigations of 1MDB. 1MDB has stated that they are unable to repatriate the US1.83 billion demanded by Bank Negara because the funds have been spent. Bank Negara Governor Zeti Akhtar Aziz later retired and was replaced with Muhammad bin Ibrahim on 1 May 2016. The scandal took a dramatic twist on 28 August 2015 when a member of Najib Razak's own UMNO party filed a civil suit against him alleging a breach of duties as trustee and that he defrauded party members by failing to disclose receipt of the donated funds, and account for their use. This suit was filed in the Kuala Lumpur High Court and also named party executive secretary Abdul Rauf Yusof. Expressing fear that Najib Razak would wield influence to remove any member of UMNO "for the sole purpose of avoiding liability", the court was also being moved for an injunction to restrain UMNO, its Supreme Council, state liaison body, divisions and branches from removing the nominal plaintiff as a party member pending the determination of the suit. The plaintiff is also seeking a repayment amounting to US$650 million, the amount allegedly deposited by Najib Razak to a Singapore bank, an account of all monies that he had received in the form of donations, details of all monies in an AmPrivate Banking Account (No. 2112022009694), allegedly belonging to Najib Razak, along with damages, costs, and other reliefs. One of the UMNO representatives, Anina Saadudin, who filed the lawsuit, was immediately expelled from the party. Another police report was filed by a Johor UMNO member, Abdul Rashed Jamaludin, against Najib Razak, over the funds that went into his bank account and other wrongdoings at 1MDB. Another UMNO member, Khairuddin Abu Hassan, and his lawyer Matthias Chang, has submitted evidence on the 1MDB scandal to the Swiss attorney general for investigation into whether any Swiss banks had done business with 1MDB Khairuddin also lodged a police report in Hong Kong against Najib Razak and Jho Low, pertaining to three companies: Alliance Assets International, Cityfield Enterprises, Bartingale International and Wonder Quest Investment, which had purported dealings with 1MDB. Khairuddin and Matthias were barred from leaving Malaysia after confirmation from immigration officials who were under orders by the police to prevent them from leaving. Khairuddin and Matthias were charged under the Security Offenses Act (SOSMA) under the pretext of sabotaging Malaysia's banking and financial sector. The opposition People's Justice Party (PKR) has filed a lawsuit against Najib Razak, Tengku Adnan Tengku Mansor, 1MDB and the Election Commission accusing them of violating election laws on campaign expenses, using funds from 1MDB. However, the Malaysian High Court threw out the suit, stating PKR had no legal standing to bring the suit against Najib and 1MDB. Former Prime Minister Mahathir has filed a lawsuit against Najib Razak for alleged interference in government investigations on 1MDB and the RM2.6 billion political donation. Following criticisms of the 1MDB issue, deputy Prime Minister Muhyiddin Yassin was removed from office and his position was given to then Home Minister Ahmad Zahid Hamidi. Also removed from office was Rural and Regional Development Minister Shafie Apdal who was also critical of the 1MDB issue. Both were eventually expelled from UMNO in June 2016. The attorney general Abdul Gani Patail, who was heading a multi-agency task force investigating claims of misappropriations of funds allegedly involving Najib Razak and 1MDB, was removed from his position and his post was given to Mohamed Apandi Ali, a former Federal Court judge. Furthermore, the Public Action Committee that was investigating the purported losses in 1MDB was indefinitely postponed due to four of its members being given positions in Najib Razak's cabinet, namely the PAC chairman Nur Jazlan Mohamed, Reezal Merican Naina Merican, Wilfred Madius Tangau and Mas Ermieyati Samsudin. The news publications The Edge Malaysia and The Edge Financial Daily were suspended for three months in July for allegedly publishing false reports on the 1MDB issue by the Malaysian Home Ministry. The website Sarawak Report was also blocked by Malaysian Communications and Multimedia Commission, which regulates Internet services in Malaysia. The Malaysian police have issued an arrest warrant for Clare Rewcastle Brown, who manages the Sarawak Report website, giving the reason that she was involved in activities detrimental to parliamentary democracy and disseminating false reports about Najib Razak. The police also arrested UMNO member Khairuddin Abu Hassan after he lodged police reports in London, Singapore, France and Hong Kong regarding financial improprieties regarding 1MDB. According to his lawyer, Khairuddin was going to the United States to meet with the Federal Bureau of Investigation to urge them to probe 1MDB over money laundering. However, the FBI's New York City office confirmed to the WSJ that no agent had arranged to meet Khairuddin or had any previous contact with him. Former Kedah Menteri Besar Mukhriz Mahathir resigned from his post on 3 February 2016, saying he did so because he was told by Najib Razak that he was in the wrong in criticising Najib Razak and 1MDB. He too was expelled from UMNO in June. His father, Mahathir Mohamad, who was the fourth prime minister and had been supporting Najib since he had been in office, withdrew his support for Najib and quit UMNO later in the month. Opposition member of parliament Rafizi Ramli was arrested and charged under the Official Secrets Act by police and government for leaking information about the Auditor General's report on 1MDB. The Home Ministry has stated that they and Interpol have been unsuccessful in locating the following individuals linked to 1MDB to help in facilitating their investigations into 1MDB: business tycoon Jho Low, 1MDB’s former senior executives Casey Tang Keng Chee and Jasmine Loo Ai Swan, SRC International managing director Nik Faisal Ariff Kamil, and Deutsche Bank country manager Yusof Annuar Yaacob. Currently, Medium.com, a popular platform offering amateurs and professionals a simple way to publish their articles, is also blocked by Malaysian Communications and Multimedia Commission (MCMC), over a single article posted by Sarawak Report. Another website, Asia Sentinel, was blocked by the MCMC after carrying a Sarawak Report article related to the MACC completing a probe and having alleged 37 charges drawn up against Najib Razak involving 1MDB. Another Malaysian news website, The Malaysian Insider, was blocked and its journalists investigated for carrying a report saying that the MACC had found enough evidence in investigations into Najib Razak to charge him for corruption. The Malaysian Public Accounts Committee (PAC) inquiry into 1MDB revealed that the management of the fund acted without the board's approval and misled auditors several times, calling for the police to investigate its former manager. The PAC also found that the board of directors in which Najib Razak was the chairman failed in giving proper oversight of the fund's finances. The 1MDB board of directors immediately submitted their resignations after the PAC findings were made public. The PAC report stated that USD3.5 billion was paid to a company, Aabar Investments PJS, but IPIC released a statement that neither it or its subsidiary Aabar Investments PJS have any links to a British Virgin Islands-incorporated firm Aabar BVI or received any money from that BVI firm. International Petroleum Investment Company made an announcement in a filing in the London Stock Exchange that 1MDB failed to make a USD $1.1 billion payment as part of its debt restructuring agreement, and that the debt deal between the two companies has been terminated. After the 14th Malaysian general election (GE14) on 9 May 2018 which marked a historic defeat for the Barisan Nasional coalition led by Najib Razak, Pakatan Harapan formed a new government led by Prime Minister Mahathir Mohamad. The government set up a special task force headed by former Attorney General Tan Sri Abdul Gani Patail to renew investigations into the 1MDB scandal. The government barred Najib Razak from leaving the country, and the police seized cash and valuable items amounting to between RM 900 million and RM 1.1 billion (US$ 220 million and US$ 269 million) from residential units linked to Najib and his wife Rosmah Mansor. As claimed by the police, this was the biggest seizure in Malaysian history, with the seized items comprising more than 12,000 pieces of jewelry, 423 valuable watches and 567 handbags made up of 37 luxury brands. Najib was subsequently arrested by the MACC. In September 2018, he faced 25 charges relating to abuse of power and money laundering amounting to RM 2.3 billion (US$ 556 million), on top of seven charges with criminal breach of trust and power abuse brought against him in the preceding two months. The government has also issued arrest warrants against Jho Low and former director of SRC International Nik Faisal Ariff Kamil in a graft probe related to the state fund 1MDB. On 28 June 2018, two days before the end of his employment contract, 1MDB sacked its President and Chief Executive Officer Arul Kanda on grounds of dereliction of duties. In August 2018, Malaysian police filed criminal charges against Jho Low and his father Larry Low over money laundering of US$457 million, which was allegedly stolen from 1MDB and most of the cash used for purchasing the superyacht Equanimity. From October 29 through November 28, 2018, the Equanimity was up for auction by investigators (pending a US $1 million deposit). It was eventually sold to the Genting Group at US$ 126 million. In December 2018, the Attorney-General Chambers of Malaysia filed criminal charges against subsidiaries of Goldman Sachs, their former employees Tim Leissner and Roger Ng Chong Hwa, former 1MDB employee Jasmine Loo, and Jho Low in connection with 1MDB bond offerings arranged and underwritten by Goldman Sachs in 2012 and 2013. The prosecutors were seeking criminal fines in excess of US$2.7 billion misappropriated from the bonds proceeds, US$600 million in fees received by Goldman Sachs, as well as custodial sentences against the individuals accused. The Australian fund management company Avestra Asset Management, which managed up to 2.32 billion in 1MDB funds, is being liquidated, and is under investigation by the Australian Securities and Investments Commission for reported breaches of the law and potential losses to its members. The Australian High Court has ordered five investment schemes run by Avestra to close down after discovering undisclosed related-party transactions, with 13 potential breaches of corporate law and failure to invest according to the fund's individual mandates. Hong Kong police have begun investigations regarding US$250 million in Credit Suisse branch deposits in Hong Kong linked to Najib Razak and 1MDB. Indonesia seized the superyacht Equanimity on 28 February 2018 on the island of Bali at the request of the US Department of Justice, as part of a corruption investigation linked to the 1MDB scandal. The Indonesian government returned the yacht to Malaysia in August 2018, following the activation of the Mutual Legal Assistance Treaties between Indonesia, the United States and Malaysia. State prosecutors in Luxembourg have also started money laundering investigations concerning 1MDB as it involved transfers of several hundred million dollars to an offshore company involving a bank account from Luxembourg. The bank in question is a private bank of the Edmond de Rothschild Group which manages money on behalf of wealthy clients. The Seychelles's Financial Intelligence Unit is helping an international investigation into the troubled state fund 1MDB, by providing detailed information relating to offshore entities registered in Seychelles that are related to the international investigation. 1MBD has not contested, and appears unlikely to contest, any lawsuit which has arisen from the investigations of foreign investigating authorities. In Singapore, the Monetary Authority of Singapore (MAS) and the Commercial Affairs Department have seized a number of bank accounts in Singapore for possible money-laundering offences related to investigations into alleged financial mismanagement at 1MDB. One of the bank accounts frozen belonged to Yak Yew Chee, who was the relationship manager for 1MDB Global Investments Ltd, Aabar Investment PJS Limited and SRC International and Low Taek Jho. Singaporean Yeo Jiawei, an ex-BSI banker, has been charged with money laundering and cheating offences as part of the Singapore probe into 1MDB, and Yeo's dealings with firms linked to 1MDB, Brazen Sky Ltd. and Bridge Partners Investment Management. A second individual, Kelvin Ang Wee Keng, was charged with corruption in connection with the Singaporean investigation into 1MDB. According to a joint statement from the Attorney General's Chambers and the Monetary Authority of Singapore, assets totalling S$240 million have been seized during their investigations into 1MDB. Of the bank accounts and properties seized were S$120 million belonging to Jho Low and his family. In March 2017, MAS issued a 10-year prohibition order against former Goldman Sachs banker Tim Leissner for making false statements on behalf of his bank without its knowledge. The prohibition order, which prevents him from performing any regulated activity under the Securities and Futures Act and from managing any capital market services firm in Singapore, was extended in December 2018 from 10 years to lifetime after he admitted to charges related to an investigation into the 1MDB scandal. In September 2018, the Singapore State Courts granted the return of 1MDB monies with a total value of S$15.3 million to Malaysia while solicitors for the Malaysian government stated that efforts to recover other unlawfully misappropriated assets were ongoing. Swiss authorities under the direction of the Office of the Attorney General of Switzerland began to freeze bank accounts amounting to several million US dollars linked to 1MDB. The Swiss attorney general's office said its investigation revealed indications that funds estimated to be US$4 billion may have been misappropriated and said it was looking into four cases of potential criminal conduct. The Swiss prosecutor has said that money had been deposited into Swiss bank accounts of former Malaysian public officials and current and former officials of United Arab Emirates. Swiss Financial Market Supervisory Authority (Finma) has begun investigations into several Swiss banks as part of the money laundering probe involving 1MDB. On 15 March 2018, the Swiss parliament rejected a motion to return seized monies from their investigations into 1MDB to the Malaysian people, as had been lobbied for by Swiss politicians and non-governmental bodies. However, on 10 July 2018, Swiss Attorney General Michael Lauber indicated that Switzerland would not enrich itself by keeping illicit or stolen assets and be able to have the monies returned by legal obligations. The United Arab Emirates has issued travel bans and frozen bank accounts of former Abu Dhabi sovereign-wealth fund International Petroleum Investment Company's employees Khadem al-Qubaisi and Mohammed Badawy Al Husseiny who had close connections to 1MDB, and may have used the British Virgin Islands-based Aabar Investments PJS to funnel money from 1MDB into various accounts and companies around the world. United Kingdom's Serious Fraud Office has begun investigations into money laundering involving 1MDB after it was highlighted by Clare Rewcastle Brown and Sarawak Report. The United Kingdom's investigation is focusing on the transfer of money from 1MDB funds in Malaysia to Switzerland as it involved Royal Bank of Scotland's branch in Zurich. It was reported the FBI in the United States had begun investigations regarding money laundering involving 1MDB. The international corruption unit of the US Department of Justice (DOJ) began a probe looking into property purchases in the United States involving Najib Razak's stepson Riza Aziz and the transfer of millions of dollars into Najib Razak's personal account. The probe was looking at properties purchased by shell companies belonging to Riza Aziz and close family friend Jho Low. Investment banks such as JPMorgan Chase & Co., Deutsche Bank AG and Wells Fargo were asked by the DOJ to retain and turn over records that might be related to improper transfers from 1MDB. The FBI issued subpoenas to several past and present employees of film production company Red Granite Pictures, which has Najib Razak's stepson Riza Aziz as its co-founder and chairman, in regards to allegations that US$155 million was diverted from 1MDB to help financed the 2013 film The Wolf of Wall Street. Also under scrutiny by the FBI and DOJ was the role of global investment bank Goldman Sachs in allegations of money laundering and corruption. The FBI was probing the connection between Razak and a regional top executive of Goldman Sachs, and the nature of the latter's involvement in multibillion-dollar deals with 1MDB. Tim Leissner, the former chairman of Goldman Sachs' Southeast Asia branch and husband of Kimora Lee Leissner, was issued a subpoena by the DOJ as part of their investigations. Within the July 2016 DOJ civil lawsuit, a high-ranking government official having control over 1MDB, who was referred to more than 30 times as "Malaysian Official 1" ("MO1"), was alleged to have received around US$ 681 million (RM 2.8 billion) of stolen 1MDB money via Falcon Bank in Singapore on 21 and 25 March 2013, of which US$ 650 million (RM 2.0 billion) was sent back to Falcon Bank on 30 August 2013. In September 2016, Najib Razak was identified as "MO1" by Datuk Abdul Rahman Dahlan, then Minister in the Prime Minister's Department. The wife of "MO1", Rosmah Mansor, was also alleged to have received US$30 million worth of jewels financed from pilfered 1MDB funds. In June 2017, the DOJ began actions to recover more than US$1 billion from people close to Najib and 1MDB, seizing assets including high-end properties in Beverly Hills, Los Angeles, Manhattan, New York City and London, as well as fine artwork, a private jet, a luxury yacht and royalties from the film The Wolf of Wall Street and its production company Red Granite Pictures. On 7 March 2018, in California courts, the producers of the film agreed to pay US$60 million to settle DOJ's claims that they financed the movie with money siphoned from 1MDB. On 1 November 2018, the DOJ announced that two former Goldman Sachs bankers, Tim Leissner and Roger Ng, as well as Malaysian fugitive financier Jho Low, were charged over funds misappropriated from 1MDB and paying bribes to various Malaysian and Abu Dhabi officials. Tim Leissner admitted in a plea that more than US$200 million in proceeds from 1MDB bonds flowed into accounts controlled by him and a relative. He agreed to forfeit US$ 43.7 million (RM 185 million) and pleaded guilty to conspiring to launder money and violate the Foreign Corrupt Practices Act, while Roger Ng was arrested in Malaysia at the request of DOJ. On 30 November 2018, the DOJ announced that George Higginbotham, a former DOJ employee, pleaded guilty to conspiracy to deceive US banks about the source and purpose of foreign funds for a lobbying campaign against the US investigations into the 1MDB scandal. The DOJ filed a lawsuit to recover more than US$ 73 million (RM 305 million) in American bank accounts that Higginbotham helped open on behalf of Jho Low to finance the lobbying campaign. ^ "Malaysian taskforce investigates allegations $700m paid to Najib". The Guardian UK. 6 July 2015. Retrieved 24 March 2018. ^ "1MDB faces fresh debt payment test". 27 February 2015. Archived from the original on 1 March 2015. ^ "Malaysia's royal rulers urge quick completion of 1MDB probe". The Straits Times. Retrieved 1 March 2016. ^ "Royal rulers deplore Malaysia's 'crisis of confidence'". Retrieved 1 March 2016. ^ "Mahathir Picks Lim as Finance Minister, Returns Zeti to Council". Bloomberg.com. 12 May 2018. Retrieved 18 May 2018. ^ "US DOJ says pursuing investigations related to Malaysia's 1MDB - Business News | The Star Online". www.thestar.com.my. Retrieved 22 May 2018. ^ "Jho Low allegedly siphoned off US$700 million from 1MDB, says website". Archived from the original on 1 July 2015. Retrieved 7 July 2015. ^ "Jho Low accused of siphoning US$700m from 1MDB". Retrieved 7 July 2015. ^ "Jho Low email said Najib approved US$1bn loan". Free Malaysia Today. Retrieved 7 July 2015. ^ "Jho Low claims Najib okayed 1MDB's US$500 million loan to PetroSaudi, says Sarawak Report". Retrieved 7 July 2015. ^ "1MDB gave out false info on Singapore's BSI Bank assets, says Sarawak Report". Retrieved 1 March 2016. ^ "'Minutes of board meeting proves 1MDB's Arul a liar'". Malaysiakini. Retrieved 1 March 2016. ^ "1MDB CEO says never gave false bank statements to Bank Negara". The Malay Mail. Retrieved 5 February 2016. ^ "WSJ: Najib used 1MDB's funds for GE13". Retrieved 8 July 2015. ^ "Bersih 2.0 says GE13 rigged, shocked over links to 1MDB". Retrieved 8 July 2015. ^ "Roadshow unnecessary, just come clean on 1MDB's objectives, Kit Siang tells BN". Retrieved 8 July 2015. ^ "1MDB refutes WSJ article, says acquisitions based on long-term value". The Star Online. Retrieved 5 February 2016. ^ Tom Wright and Simon Clark (2 July 2015). "Investigators Believe Money Flowed to Malaysian Leader Najib's Accounts Amid 1MDB Probe". The Wall Street Journal. Retrieved 8 July 2015. ^ "Special team to probe graft allegations against Malaysia PM Najib Razak". The Economic Times. Retrieved 8 July 2015. ^ "Task force freezes bank accounts as pressure mounts on PM Najib". Channel NewsAsia. Retrieved 8 July 2015. ^ Niluksi Koswanage (7 July 2015). "Malaysia Task Force to Freeze Accounts in Najib Money Probe". Bloomberg L.P. Retrieved 8 July 2015. ^ "MACC: RM2.6bil in Najib's account from donors, not 1MDB's – Nation | The Star Online". The Star. Malaysia. Retrieved 5 February 2016. ^ "3 frozen accounts belong to Najib, sources say". Retrieved 8 July 2015. ^ "Three frozen accounts belong to PM, says source". Retrieved 8 July 2015. ^ Sarawak Report. "SENSATIONAL FINDINGS! – Prime Minister Najib Razak's Personal Accounts Linked To 1MDB Money Trail MALAYSIA EXCLUSIVE!". Sarawak Report. Retrieved 8 July 2015. ^ "DocumentCloud Document Viewer". Retrieved 8 July 2015. ^ "Take legal action against WSJ, PM urged". The Star. Retrieved 8 July 2015. ^ "Singapore police freeze two bank accounts linked to 1MDB probe". Channel NewsAsia. Retrieved 27 September 2015. ^ "Singapore freezes bank accounts over Malaysia 1MDB graft scandal". DW. Retrieved 27 September 2015. ^ "1MDB chief denies Singapore accounts frozen, says asset sales will put company in black by early 2016". The Malay Mail. Retrieved 5 February 2016. ^ Bradley Hope (17 December 2015). "Malaysia's 1MDB Sent $850 Million to Entity Set Up to Appear Owned by Abu Dhabi Wealth Fund". The Wall Street Journal. Retrieved 1 March 2016. ^ "WSJ drops US$850m bombshell on 1MDB". Malaysiakini. Retrieved 1 March 2016. ^ "$850M 1MDB payment sent to Virgin Island firm". CNBC. 17 December 2015. ^ "WSJ: UAE fund claims US$1.4b payment from 1MDB missing". Retrieved 27 September 2015. ^ Bradley Hope and Tom Wright (9 September 2015). "Malaysia's 1MDB Fund Scandal Spreads to U.A.E." The Wall Street Journal. Retrieved 27 September 2015. ^ "Abu Dhabi alleges US$1.4 billion from 1MDB missing, says WSJ". Retrieved 27 September 2015. ^ "WSJ: Another US$1b payment from 1MDB to IPIC missing". Malaysiakini. Retrieved 27 September 2015. ^ "1MDB mystery deepens as Abu Dhabi questions another missing US$993m to IPIC". Retrieved 27 September 2015. ^ "Another $1.4b payment from 1MDB to Abu Dhabi fund is missing: Wall Street Journal". The Straits Times. Retrieved 27 September 2015. ^ "We enjoy strong business relationship with UAE firm, says 1MDB – The Malaysian Insider". themalaysianinsider.com. Retrieved 15 February 2016. ^ "Abu Dhabi's Ipic to pay interest on 1MDB bonds as Malaysia clears officials | The National". The National. Abu Dhabi. Retrieved 15 February 2016. ^ Bradley Hope (12 November 2015). "1MDB's Latest Act: Two Obama Fundraisers, One Fugee and $69 Million". The Wall Street Journal. Retrieved 1 March 2016. ^ "Wong Chen queries Obama link in 1MDB-DuSable 'JV'". Free Malaysia Today. Retrieved 1 March 2016. ^ "WSJ picks up on 1MDB-DuSable links to former Obama fundraisers". Retrieved 1 March 2016. ^ "Najib urged to disclose dealings of 1MDB and Yurus PE Fund". Retrieved 1 March 2016. ^ "Pua says 1MDB profits suspect". themalaysianinsider.com. 9 October 2010. Archived from the original on 12 October 2010. Retrieved 26 July 2015. ^ "Has 1MDB filed its accounts?". theedgemalaysia.com. 1 April 2014. Archived from the original on 23 April 2014. Retrieved 26 July 2015. ^ "Auditors highlight several critical areas in 1MDB's books". The Star. 22 April 2014. ^ "Agreements inked to develop Sungai Besi airport land into Bandar Malaysia". The Star. 15 June 2011. ^ "Amid lack of progress in Bandar Malaysia, Rafizi questions 1MDB's RM3.5b debt". Retrieved 27 September 2015. ^ "Why is 1MDB raising RM2.4bil in loans?". Malaysiakini. Retrieved 27 September 2015. ^ "1MDB awards RM2.1bil contract to Armed Forces Fund Board unit – Business News | The Star Online". The Star. Malaysia. Retrieved 4 February 2016. ^ "1MDB to sell 60% stake in Bandar Malaysia for RM7.41bil – Nation – The Star Online". Retrieved 1 March 2016. ^ "1MDB accepts adviser's resignation – Nation – The Star Online". Retrieved 27 September 2015. ^ "1MDB insists former adviser was not ignored". Malaysiakini. Retrieved 27 September 2015. ^ "1MDB denies receiving 'repeated requests' for info from former advisor". The Malay Mail. Retrieved 4 February 2016. ^ "Deloitte Malaysia's statement on 1MDB accounts". The Sun Daily. 27 July 2016. Retrieved 23 March 2018. ^ "Lack of concern about 1MDB's unaudited accounts shows cover-up, says MP". The Malaysian Insight. 21 November 2017. Retrieved 23 March 2018. ^ Ng, Jason (4 March 2015). "Malaysian Leader Orders Auditor to Verify 1MDB Accounts". wsj.com. Wall Street Journal. Retrieved 5 March 2015. ^ "Malaysia Auditor General's 1MDB Report Classified". Asia Sentinel. 6 April 2016. Retrieved 24 March 2018. ^ "Azmin fails to unseal 1MDB audit report". The Malaysian Insight. 24 January 2018. Retrieved 24 March 2018. ^ "Now Is The Best Time To Declassify AG's Report On 1MDB – There Should Be Nothing To Hide!". Transparency International Malaysia. 6 April 2016. Retrieved 24 March 2018. ^ "Sarawak Report publishes AG's 1MDB report classified under Official Secrets Act". The Straits Times Singapore. 14 July 2016. Retrieved 24 March 2018. ^ "Rafizi charged under secrecy law over leak on 1MDB federal audit". The Malay Mail Malaysia. 8 April 2016. Retrieved 24 March 2018. ^ "1MDB Unable To Repay Debts - Guan Eng". Malaysian Digest. 23 May 2018. Archived from the original on 24 May 2018. Retrieved 24 May 2018. ^ "Ringgit under pressure over 1MDB debt". Archived from the original on 8 July 2015. Retrieved 7 July 2015. ^ "1MDB faces fresh debt payment test". Free Malaysia Today. Archived from the original on 1 March 2015. Retrieved 7 July 2015. ^ "1MDB bonds drop to junk status as investors consider wind-down". Retrieved 7 July 2015. ^ "Cabinet rejects RM3 billion for 1MDB as debt repayment options narrow". Retrieved 7 July 2015. ^ "RPT-MALAYSIA PRESS-Cabinet rejects $834 mln proposed injection into 1MDB-The Malaysian Insider". Reuters. Retrieved 7 July 2015. ^ "Cabinet rejects RM3 billion aid for 1MDB". Free Malaysia Today. Retrieved 7 July 2015. ^ "Malaysia 1MDB: Saudi minister says Najib funds were donation". BBC News. 15 April 2016. Retrieved 1 May 2016. ^ "Saudi Arabia says money sent to Malaysian PM was a 'genuine donation'". The Guardian. Retrieved 14 April 2016. ^ "Late Saudi king's son is RM2.6b donor, says Apandi". Malaysiakini. Retrieved 1 March 2016. ^ SHANNON TEOH. "KL graft-busters challenge A-G's decision on Najib". The Straits Times. Retrieved 1 March 2016. ^ "Malaysia's prime minister will call an election soon". The Economist. 8 November 2017. ^ "RM2.6 billion in Najib's accounts not from Saudis, says WSJ editor". TODAYonline. Retrieved 1 March 2016. ^ "RM2.6 bil in Najib's accounts not from Saudis, says WSJ editor". Retrieved 1 March 2016. ^ "WSJ refutes AG's Saudi donation claim". Malaysiakini. Retrieved 1 March 2016. ^ "1MDB acknowledges BNM's right to revoke earlier permissions". NST Online. Retrieved 1 March 2016. ^ "Bank Negara urges criminal prosecution of 1MDB". Retrieved 1 March 2016. ^ "BNM recommends criminal prosecution against 1MDB". Retrieved 1 March 2016. ^ "1MDB unable to repatriate US$1.83b ordered by Bank Negara". Malaysiakini. Retrieved 1 March 2016. ^ "Muhammad Ibrahim to replace Zeti as Bank Negara Governor". 27 April 2016. Retrieved 25 April 2017. ^ "Umno member files lawsuit against Malaysia PM Najib". Channel NewsAsia. Retrieved 27 September 2015. ^ "Anina sacked from Umno". The Rakyat Post. Retrieved 27 September 2015. ^ "Umno expels Langkawi woman rep for suing Najib, party executive secretary confirms". Retrieved 27 September 2015. ^ "Anina: 'I will continue to fight'". Retrieved 27 September 2015. ^ "The Malaysian Insider". Retrieved 27 September 2015. ^ "Now, Johor UMNO member lodges report against Najib over RM2.6 billion". TODAYonline. Retrieved 27 September 2015. ^ "Umno man submits 1MDB evidence to Swiss AG". Malaysiakini. Retrieved 27 September 2015. ^ "1MDB whistleblower submits evidence to Swiss prosecutor". Retrieved 27 September 2015. ^ "Khairuddin lodges reports against Najib, Jho Low in HK". Free Malaysia Today. Retrieved 27 September 2015. ^ "'These are traitors to the people, God and the country': Former Malaysian official asks Hong Kong police to investigate 1MDB scandal". South China Morning Post. 3 September 2015. Retrieved 27 September 2015. ^ "Pair who lodged reports on 1MDB barred from leaving M'sia". Malaysiakini. Retrieved 27 September 2015. ^ "Former Umno leader, lawyer allegedly barred from leaving country". AsiaOne. Retrieved 27 September 2015. ^ "Khairuddin, Matthias Chang allegedly barred from leaving country – Nation – The Star Online". Retrieved 27 September 2015. ^ SHANNON TEOH. "Mahathir, Umno leaders slam prosecution of 1MDB critic and his lawyer". The Straits Times. Retrieved 1 March 2016. ^ "Khairuddin and Matthias vow to fight on – Nation – The Star Online". Retrieved 1 March 2016. 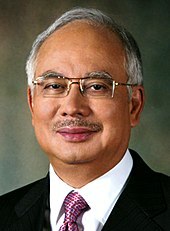 ^ "Malaysia PM sacks top officials over corruption probe ahead of Cameron visit". The Daily Telegraph. 28 July 2015. Retrieved 30 August 2015. ^ "Malaysian PM Najib Razak sacks deputy after 1MDB graft scandal remarks". The Sydney Morning Herald. Retrieved 30 August 2015. ^ "Najib's manoeuvre cripples 1MDB probes". Malaysiakini. Retrieved 30 August 2015. ^ "Axed from Cabinet, Shafie says only speaking for grassroots". The Malay Mail. Retrieved 30 August 2015. ^ "Gani Patail no longer Attorney-General, chief secretary says". The Malay Mail. Retrieved 30 August 2015. ^ "Apandi Ali becomes new Attorney-General, replaces Gani Patail". themalaysianinsider.com. Retrieved 30 August 2015. ^ "Cabinet reshuffled, AG replaced, PAC probe into 1MDB postponed". astroawani.com. Retrieved 30 August 2015. ^ "PAC delay allows time to check on 1MDB document tampering, says minister". themalaysianinsider.com. Retrieved 30 August 2015. ^ "1MDB probe to continue as scheduled: PAC Deputy Chairman". NST Online. Retrieved 30 August 2015. ^ "The Edge weekly, daily suspended for 3 months from July 27". themalaysianinsider.com. Retrieved 30 August 2015. ^ Jason Ng (25 July 2015). "Malaysia Orders Suspension of Two Publications". The Wall Street Journal. Retrieved 30 August 2015. ^ "The Edge daily and weekly suspended three months over 1MDB reports". The Malay Mail. Retrieved 30 August 2015. ^ "MCMC confirms Sarawak Report blocked to maintain 'national stability'". themalaysianinsider.com. Retrieved 30 August 2015. ^ "Sarawak Report whistleblowing website blocked by Malaysia after PM corruption allegations". The Independent. Retrieved 30 August 2015. ^ "Malaysia issues arrest warrant for Gordon Brown's sister-in-law over allegations about prime minister Najib Razak". The Daily Telegraph. 5 August 2015. Retrieved 30 August 2015. ^ "Interpol alert for Clare Rewcastle Brown in 190 countries". The Rakyat Post. Retrieved 30 August 2015. ^ "Cops arrest former Umno man after barring him from leaving country". Retrieved 27 September 2015. ^ "After travel ban, former Penang Umno leader nabbed by cops". Retrieved 27 September 2015. ^ "NYT: Khairuddin was supposed to meet FBI on 1MDB". Malaysiakini. Retrieved 27 September 2015. ^ "Malaysia Blocks Critic of Prime Minister From Taking Case to U.S." The New York Times. 19 September 2015. Retrieved 1 March 2016. ^ "FBI begins probe into 1MDB, says WSJ". Retrieved 27 September 2015. ^ "Najib ticked me off over 1MDB, RM2.6 billion, Mukhriz tells supporters". Retrieved 1 March 2016. ^ "Free from constraints as MB, Mukhriz says will speak out more". Retrieved 1 March 2016. ^ hermes (1 March 2016). "Mahathir quits Umno, calling it 'Najib's party'". The Straits Times. Retrieved 10 April 2019. ^ "Cops unable to locate key people linked to 1MDB issue – Nation – The Star Online". Retrieved 1 March 2016. ^ "Interpol unable to locate Jho Low, others in 1MDB case". Free Malaysia Today. Retrieved 1 March 2016. ^ "Interpol help not sought". Retrieved 1 March 2016. ^ "Why has Malaysia blocked Medium?". Engadget. Retrieved 31 January 2016. ^ Legal, Medium (26 January 2016). "The Post Stays Up". Medium. Retrieved 31 January 2016. ^ "Despite being blocked, Asia Sentinel says will continue reporting on corruption". Retrieved 1 March 2016. ^ "Putrajaya blocks access to Asia Sentinel, says portal". Free Malaysia Today. Retrieved 1 March 2016. ^ a b "Najib is Indictable, M'sia's Anti-graft Body Believes". Asia Sentinel. Retrieved 1 March 2016. ^ "Minister defends Malaysia's free speech, as blocked news portal probed". Channel NewsAsia. Retrieved 1 March 2016. ^ "Malaysia blocks access to news portal for violating media law". Reuters Editorial. Reuters. 25 February 2016. Retrieved 1 March 2016. ^ Rachel Middleton. "Malaysia blocks another news portal as 1MDB scandal deepens over oversight panel probing fund". International Business Times UK. Retrieved 1 March 2016. ^ "Mystery deepens over US$3.5 billion Malaysia's 1MDB sent to BVI entity". Channel NewsAsia. 11 April 2016. Archived from the original on 14 April 2016. Retrieved 13 April 2016. ^ "Abu Dhabi fund says 1MDB in default on rescue deal". CNBC. 18 April 2016. ^ "Special task force formed to look into 1MDB - Nation | The Star Online". www.thestar.com.my. Retrieved 9 June 2018. ^ "Amount of cash seized from Najib-linked condo is RM114m". www.thesundaily.my. Retrieved 9 June 2018. ^ "Value of cash and goods seized from Najib-linked residences amounted to about RM1bil (updated) - Nation | The Star Online". www.thestar.com.my. Retrieved 27 June 2018. ^ "Former Malaysian PM Najib Razak claims trial to 25 charges of abuse of power, money laundering". Channel NewsAsia. Retrieved 20 September 2018. ^ "MACC issues arrest warrants for Jho Low and Nik Faisal, ex Goldman Sachs banker is next - Business News | The Star Online". www.thestar.com.my. Retrieved 9 June 2018. ^ "1MDB sacks Arul Kanda". The Edge Market. 29 June 2018. Retrieved 6 July 2018. ^ "Malaysia files criminal charges against Jho Low in absentia". The Edge Markets. 24 August 2018. Retrieved 17 September 2018. ^ "Report: Criminal charges filed against Jho Low and his father - Nation | The Star Online". www.thestar.com.my. Retrieved 17 September 2018. ^ "Superyacht going cheap – 1MDB investigators auction off seized boat". The Thaiger. 27 October 2018. Retrieved 1 November 2018. ^ hermesauto (3 April 2019). "Malaysia to sell 1MDB-linked superyacht to casino operator Genting for $170 million". The Straits Times. Retrieved 10 April 2019. ^ Panirchellvum, Vathani. "Malaysia files charges against Goldman over 1MDB scandal (Updated)". www.thesundaily.my. Retrieved 17 December 2018. ^ "AGC files criminal charges against subsidiaries of Goldman Sachs and employees - Nation | The Star Online". www.thestar.com.my. Retrieved 17 December 2018. ^ Hamdan, Nurbaiti. "Ex-Goldman Sachs banker charged with abetting bank - Nation | The Star Online". www.thestar.com.my. Retrieved 20 December 2018. ^ "Nocookies". The Australian. Retrieved 1 March 2016. ^ "Australia shuts down investment schemes run by fund linked to 1MDB". Retrieved 1 March 2016. ^ "Hong Kong police launch probe into US$250 million linked to Najib". Retrieved 27 September 2015. ^ "Indonesia seizes luxury yacht linked to 1MDB investigation - ASEAN/East Asia | The Star Online". www.thestar.com.my. Retrieved 10 August 2018. ^ "Indonesia Returns Yacht in Malaysia's 1MDB Corruption Probe". Time. Retrieved 10 August 2018. ^ "Equanimity was properly seized under the laws of Malaysia, says AG - Nation | The Star Online". www.thestar.com.my. Retrieved 10 August 2018. ^ "Luxembourg launches money laundering inquiry into Malaysian state fund". Channel NewsAsia. 31 March 2016. Archived from the original on 13 April 2016. Retrieved 31 March 2016. ^ "Seychelles says helping worldwide probe into 1MDB fund news". Newsunited.com. Retrieved 26 August 2017. ^ "Arul: More important for 1MDB to settle debts than take legal action". The Star Malaysia. 20 March 2018. Retrieved 24 March 2018. ^ "Singapore seizes bank accounts in 1MDB probe". Malaysiakini. Retrieved 1 March 2016. ^ "S'pore cracks down on money laundering". Free Malaysia Today. Retrieved 1 March 2016. ^ Jasmine Ng (1 February 2016). "Singapore Seizes 'Large Number' of Bank Accounts Amid 1MDB Probe". Bloomberg L.P. Retrieved 1 March 2016. ^ "Banker's accounts frozen in Singapore's 1MDB probe". Retrieved 1 March 2016. ^ YASMINE YAHYA. "Businessman Jho Low's private banker is first name to emerge from Singapore probe into 1MDB". The Straits Times. Retrieved 1 March 2016. ^ "Singapore court to hear first case related to Government's 1MDB probe". Channel NewsAsia. Retrieved 1 March 2016. ^ Lai, Adrian (21 July 2016). "Singapore authorities seize S$240 million in assets linked to 1MDB probe | New Straits Times | Malaysia General Business Sports and Lifestyle News". Nst.com.my. Retrieved 25 September 2017. ^ "MAS bars former Goldman Sachs banker from trading in Singapore over 1MDB-related breaches". Channel NewsAsia. Retrieved 20 December 2018. ^ "Singapore central bank bans former Goldman Sachs director Tim Leissner for life". Channel NewsAsia. Retrieved 20 December 2018. ^ hermesauto (19 December 2018). "Ex-Goldman Sachs banker Tim Leissner banned for life by MAS over role in 1MDB scandal". The Straits Times. Retrieved 20 December 2018. ^ "Guan Eng: RM46mil 1MDB-linked funds from Singapore is just 'tip of the iceberg' - Nation | The Star Online". www.thestar.com.my. Retrieved 11 September 2018. ^ "S'pore returns 1MDB funds - Nation | The Star Online". www.thestar.com.my. Retrieved 11 September 2018. ^ "Swiss freeze millions amid 1MDB fund probe". Free Malaysia Today. Retrieved 27 September 2015. ^ John Revill (2 September 2015). "Swiss Authorities Freeze Millions of Dollars Linked to Malaysian Fund 1MDB". The Wall Street Journal. Retrieved 27 September 2015. ^ "Swiss freeze millions amid Malaysian 1MDB fund probe". Reuters. Retrieved 27 September 2015. ^ John Revill (30 January 2016). "Swiss Prosecutors Investigating 1MDB Say Malaysia Funds Were Diverted". The Wall Street Journal. Retrieved 1 March 2016. ^ "Swiss: US$4bn believed embezzled from 1MDB". Free Malaysia Today. Retrieved 1 March 2016. ^ "Malaysia 1MDB scandal: Investigators say about $4bn may be missing from fund". BBC News. Retrieved 1 March 2016. ^ "Swiss Suspect $4 Billion Misappropriated in Malaysia 1MDB Case". NASDAQ.com. 29 January 2016. Retrieved 1 March 2016. ^ "Swiss parliament rejects call to return 1MDB profits to Malaysia". The Straits Times, Singapore. Retrieved 16 March 2018. ^ "Swiss AG: '1MDB-linked funds will be returned' - Nation | The Star Online". www.thestar.com.my. Retrieved 11 July 2018. ^ "UK investigators latest to join 1MDB probe". Malaysiakini. Retrieved 27 September 2015. ^ "British anti-fraud agency joins 1MDB corruption probe". Retrieved 27 September 2015. ^ Rachel Middleton. "UK weighs in on Malaysia's 1MDB state fund as it launches own investigation". International Business Times UK. Retrieved 1 March 2016. ^ "UK probing Royal Bank of Scotland on 1MDB". Free Malaysia Today. Retrieved 1 March 2016. ^ Bradley Hope (19 September 2015). "FBI Probes Malaysia Development Fund". The Wall Street Journal. Retrieved 27 September 2015. ^ "FBI investigates 1MDB". Retrieved 27 September 2015. ^ "FBI launches investigation into Malaysian state fund 1MDB: WSJ". AsiaOne. Retrieved 27 September 2015. ^ Oliver Holmes. "US investigators launch probes into scandal-hit Malaysian Najib Razak – World news – The Guardian". The Guardian. Retrieved 27 September 2015. ^ Christopher Matthews And Bradley Hope (22 September 2015). "Malaysia Leader Najib Razak's Assets Probed by U.S." The Wall Street Journal. Retrieved 27 September 2015. ^ "Malaysian PM Najib faces US corruption inquiry". The Straits Times. Retrieved 27 September 2015. ^ Mia Lamar in Hong Kong, and Bradley Hope and Justin Baer in New York (14 October 2015). "U.S. Examines Goldman Sachs Role in 1MDB Transactions". The Wall Street Journal. Retrieved 1 March 2016. ^ "Goldman Sachs under FBI, DOJ scrutiny over 1MDB probe: WSJ". Reuters Editorial. Reuters. 14 October 2015. Retrieved 1 March 2016. ^ "Goldman Sachs under FBI, US Department of Justice scrutiny over 1MDB probe: Wall Street Journal". The Economic Times. Retrieved 1 March 2016. ^ Maierbrugger, Arno. "1MDB scandal: Next suspect Goldman Sachs banker | Investvine". Investvine. Retrieved 28 February 2016. ^ "Malaysia's first lady linked to $30 mln worth of jewelry bought with 1MDB funds". Reuters. Retrieved 16 March 2018. ^ "Civil action in rem to forfeit assets involved in and traceable to an international conspiracy to launder money misappropriated from 1Malaysia Development Berhad (1MDB)". United States Department of Justice. Retrieved 17 March 2018. ^ "US seeks $1bln in 1MDB-tied Assets, 'Wolf of Wall Street' royalties". Al Arabiya English. Retrieved 25 September 2017. ^ "Wolf of Wall Street producers to pay $60m to US government". The Guardian UK. 7 March 2018. Retrieved 16 March 2018. ^ "The 1MDB deals that continue to haunt Goldman Sachs: QuickTake". The Edge Markets. 5 November 2018. Retrieved 14 November 2018. ^ "Goldman Sachs Tumbles on 1MDB Scandal and 'Fear of the Unknown'". www.bloomberg.com. Retrieved 14 November 2018. ^ "1MDB: How did Leissner and other execs bypass Goldman's compliance rules? - Nation | The Star Online". www.thestar.com.my. Retrieved 14 November 2018. ^ "Ex-Goldman bankers face 1MDB charges". BBC News. 1 November 2018. Retrieved 2 November 2018. ^ "Goldman Sachs and 1MDB: what we learned from US charges - Business News | The Star Online". www.thestar.com.my. Retrieved 2 November 2018. ^ "US prosecutors file charges against two Goldman Sachs bankers, Jho Low". www.thesundaily.my. Retrieved 2 November 2018. ^ "DoJ has until Dec to extradite Ng, says Amar Singh - Nation | The Star Online". www.thestar.com.my. Retrieved 22 November 2018. ^ "Ex-Justice Official Helped 1MDB's Jho Low Funnel Dirty Money". www.bloomberg.com. Retrieved 2 December 2018. ^ "Ex-US Justice Dept employee pleads guilty to 1MDB fraud - Nation | The Star Online". www.thestar.com.my. Retrieved 2 December 2018. ^ "US Justice official pleads guilty in 1MDB lobbying case". Brown, Clare Rescastle (2018). The Sarawak Report: The Inside Story of the 1MDB Exposé. Gerak Budaya. p. 496. ISBN 9789670311166. Wright, Tom; Hope, Bradley (2018). Billion Dollar Whale: The Man Who Fooled Wall Street, Hollywood, and the World. Hachette UK. p. 400. ISBN 9780316436489.